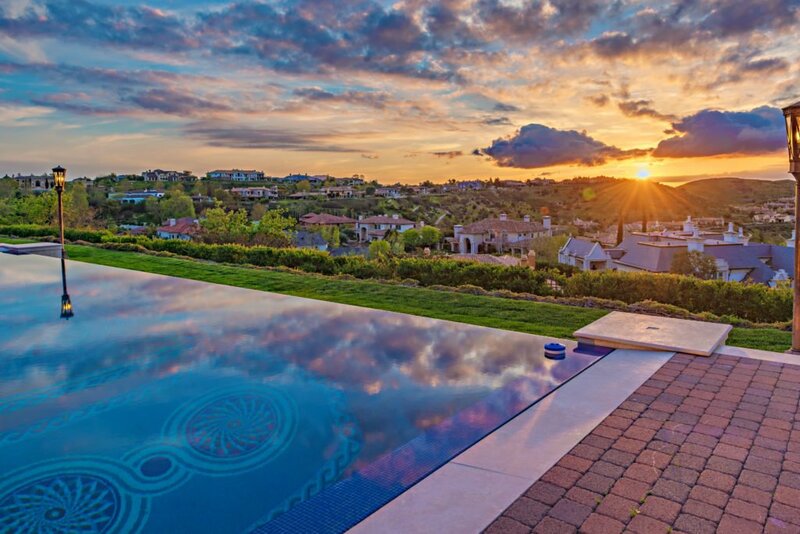 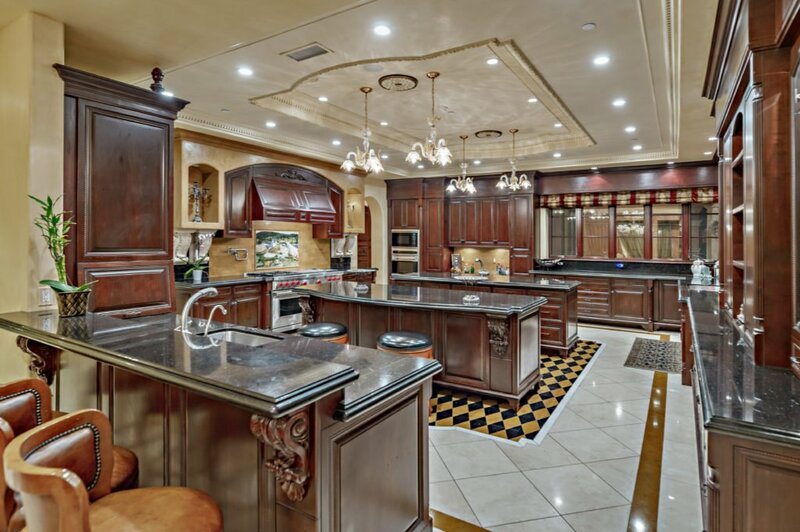 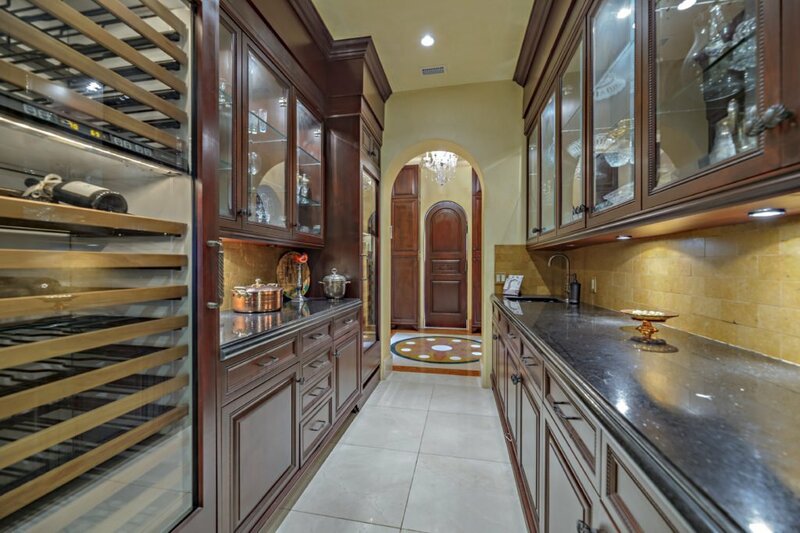 A uniquely realized showstopper view estate located in the posh & super secure double gated community of The Estates at The Oaks in Calabasas. 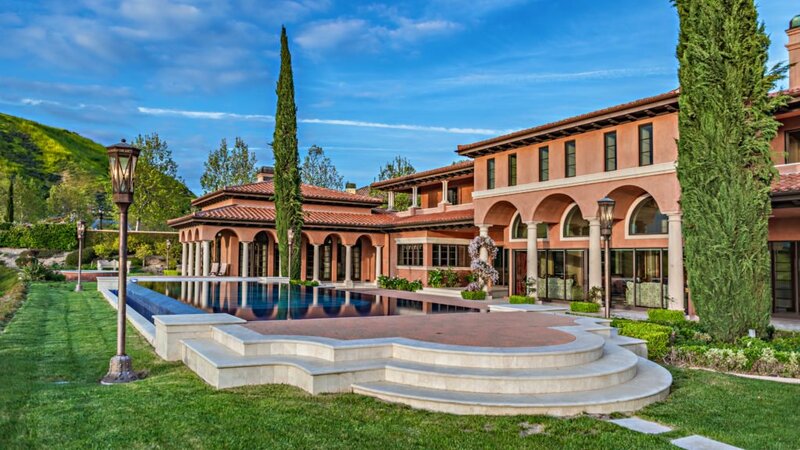 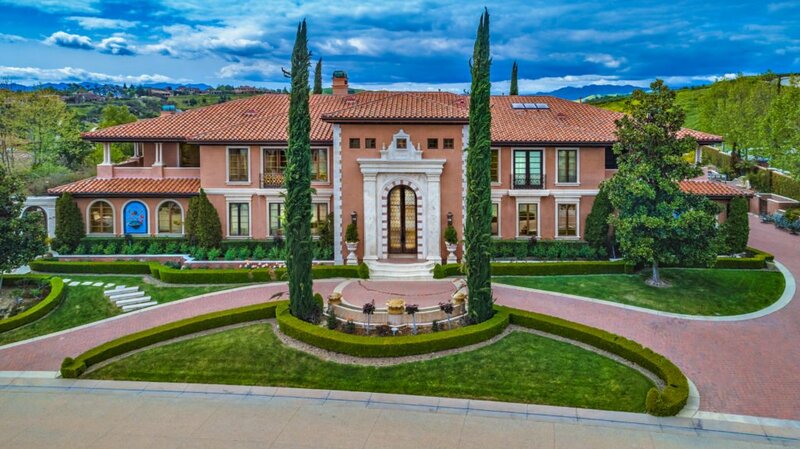 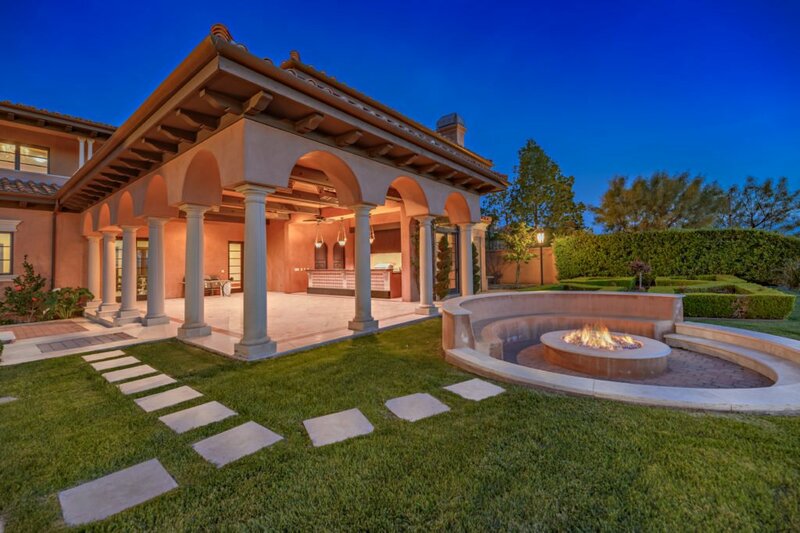 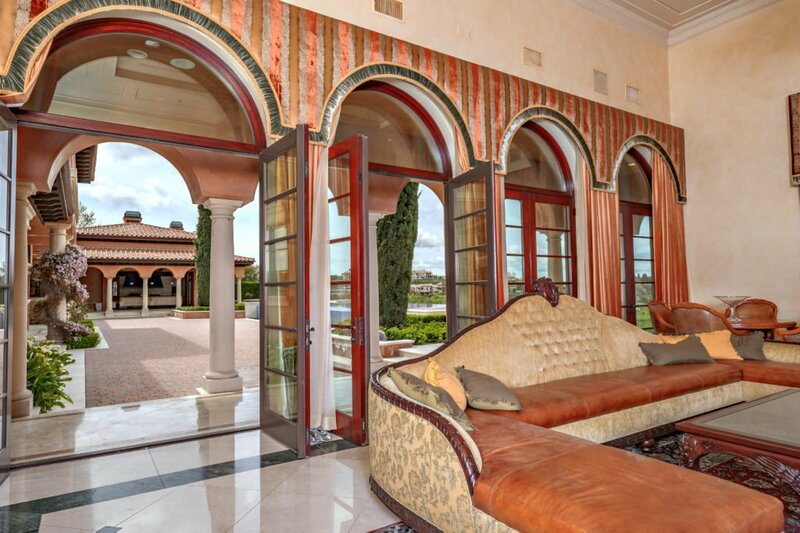 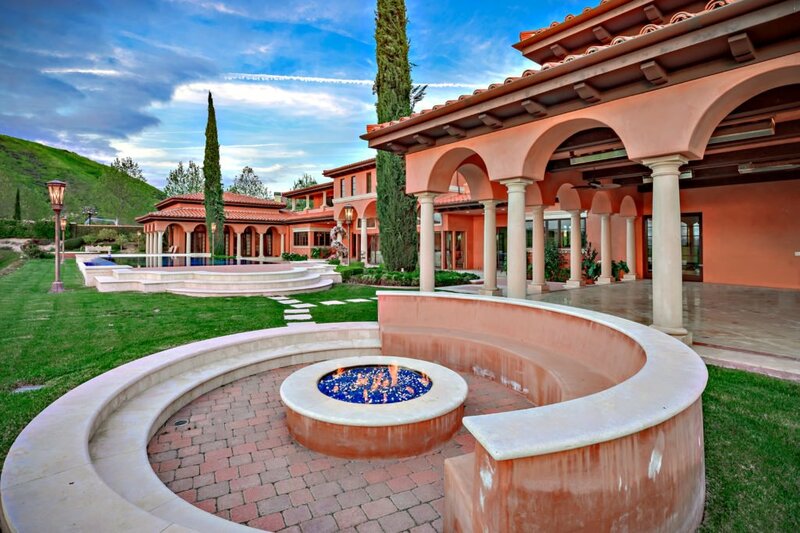 Home to celebrities and the ultra rich, this spectacular mansion is truly astonishing in design and finishes with almost 15,000 sq feet of living space and nearly 3000 square feet of courtyards, patios and verandas on nearly an acre of manicured grounds. 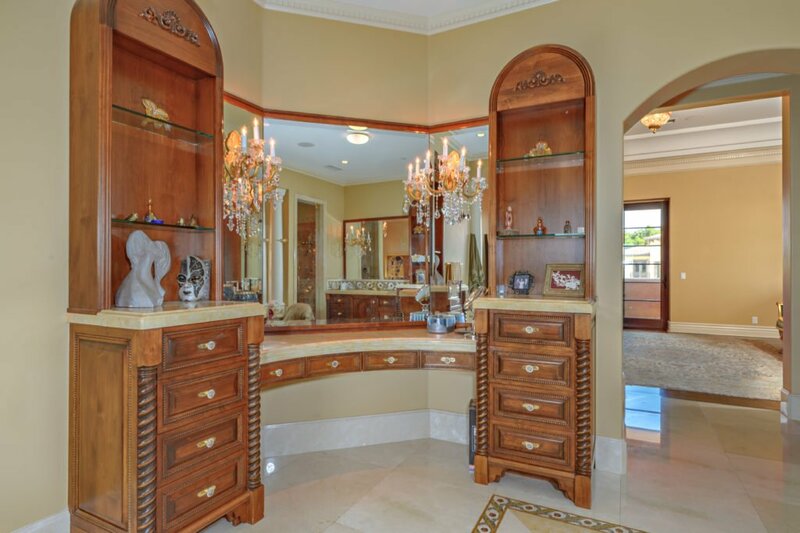 No expense spared in design, construction & finishes. 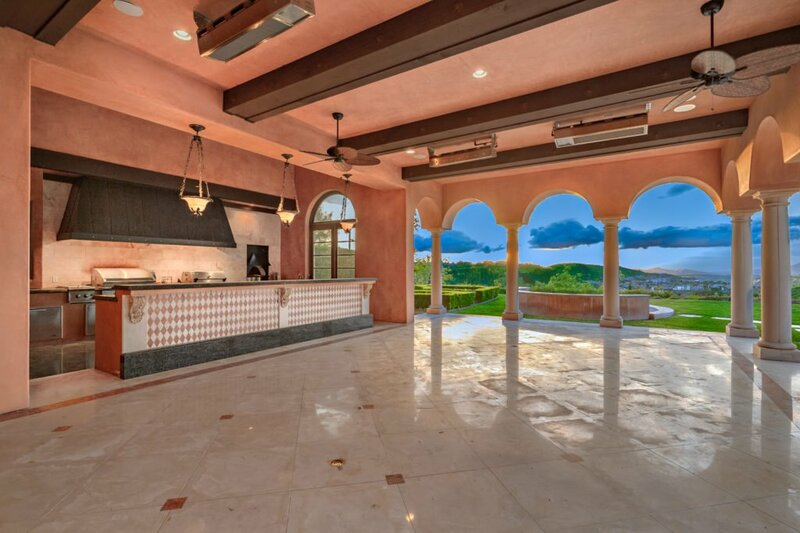 Breathtaking panoramic views are the norm. 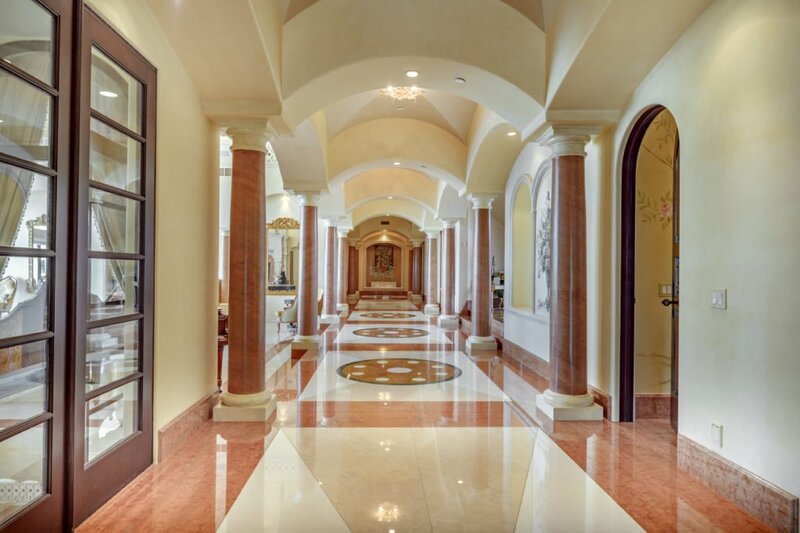 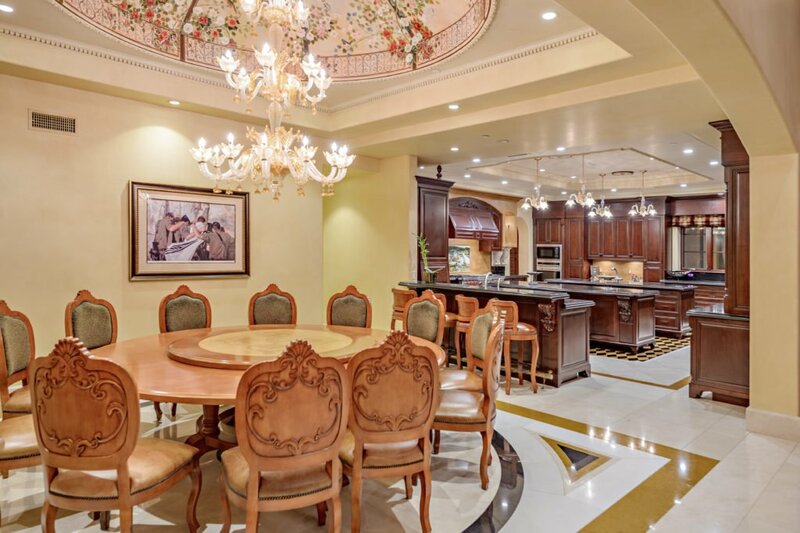 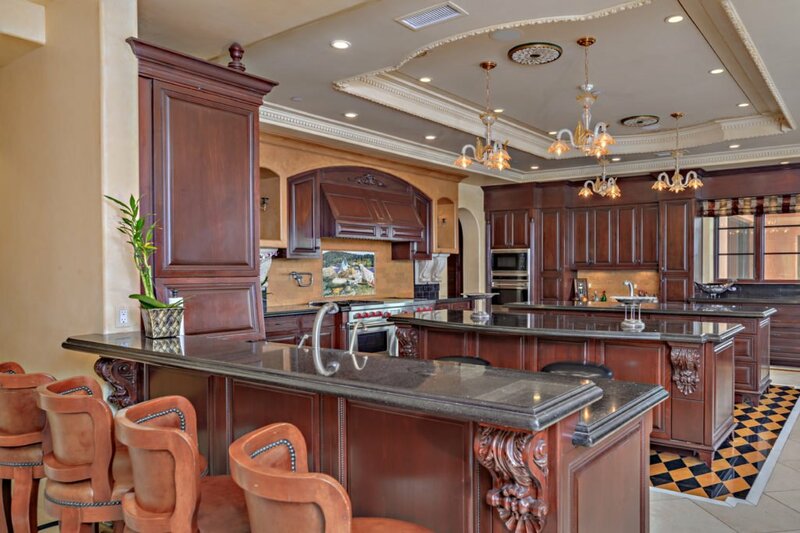 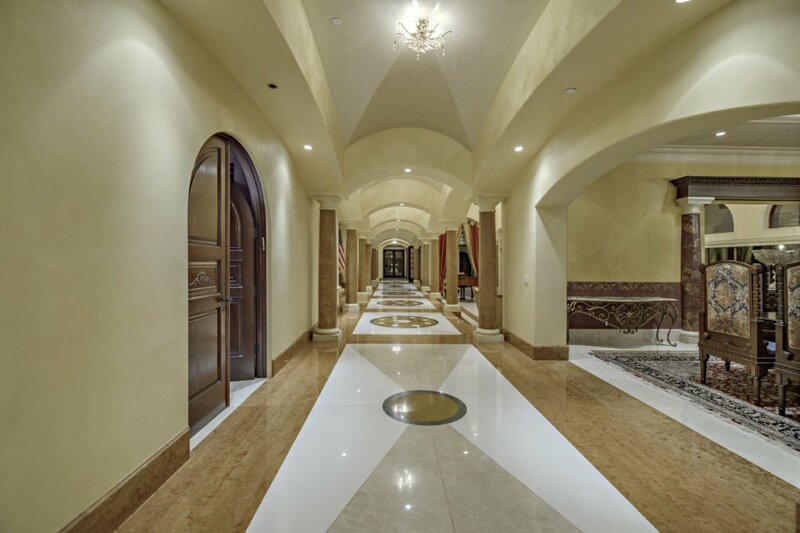 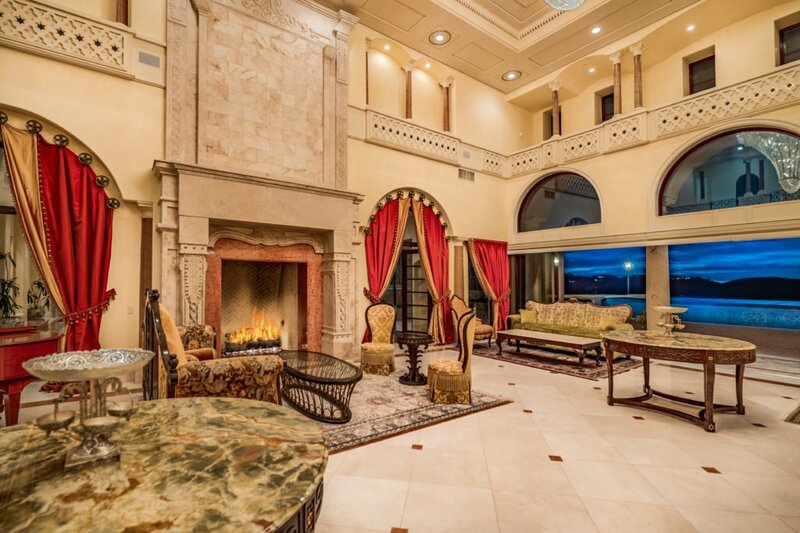 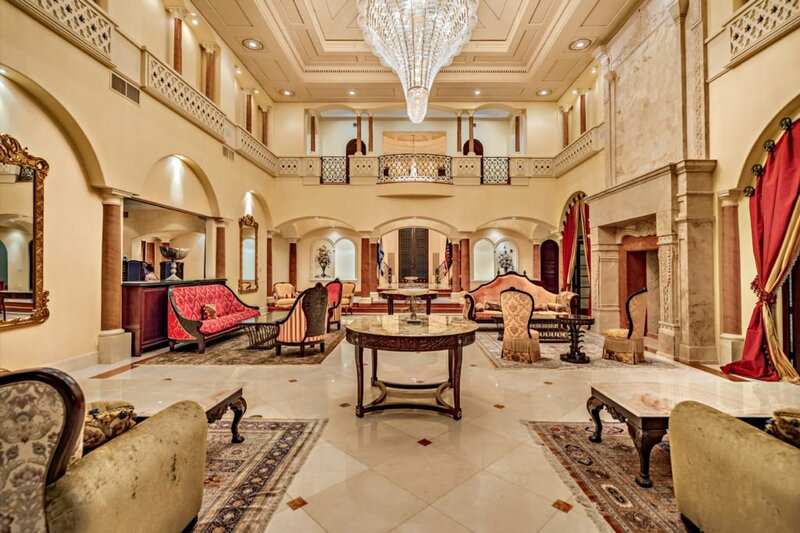 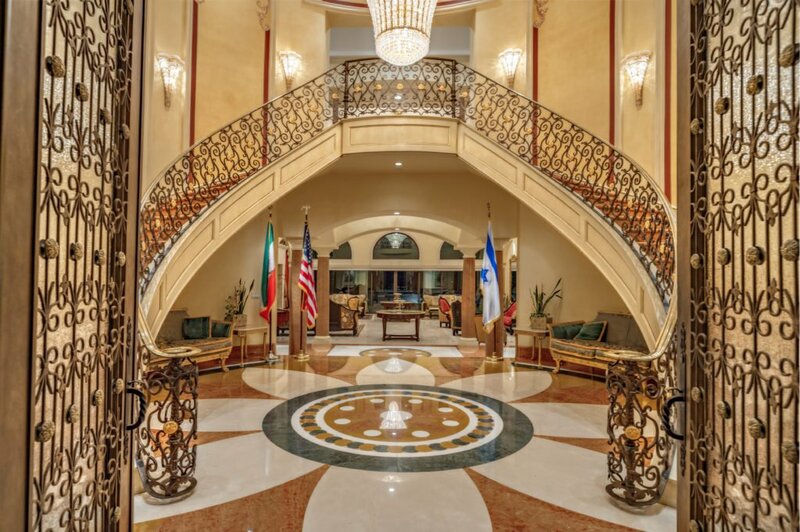 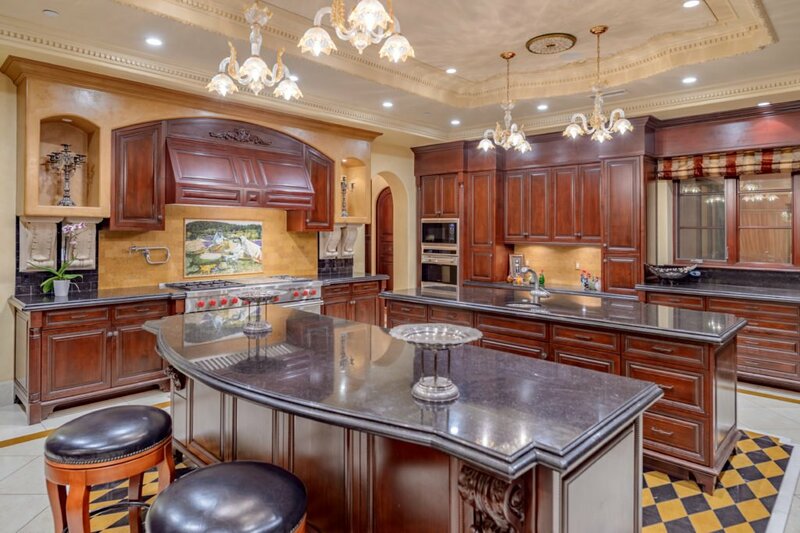 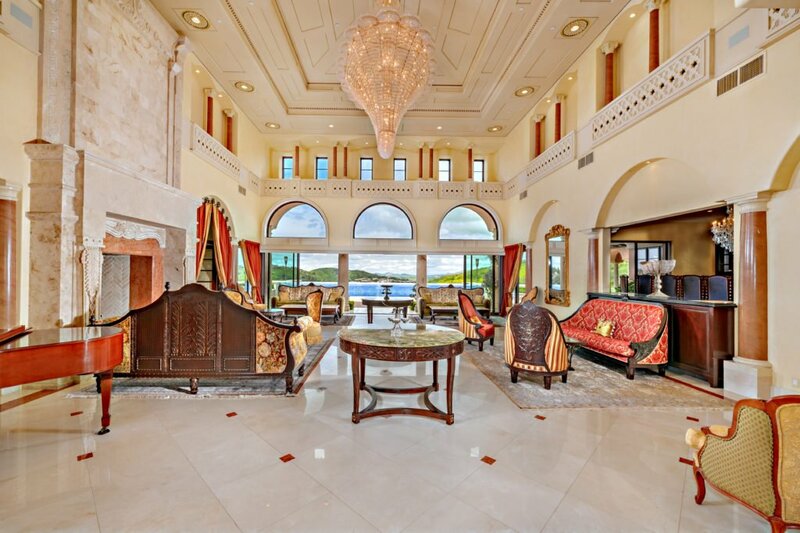 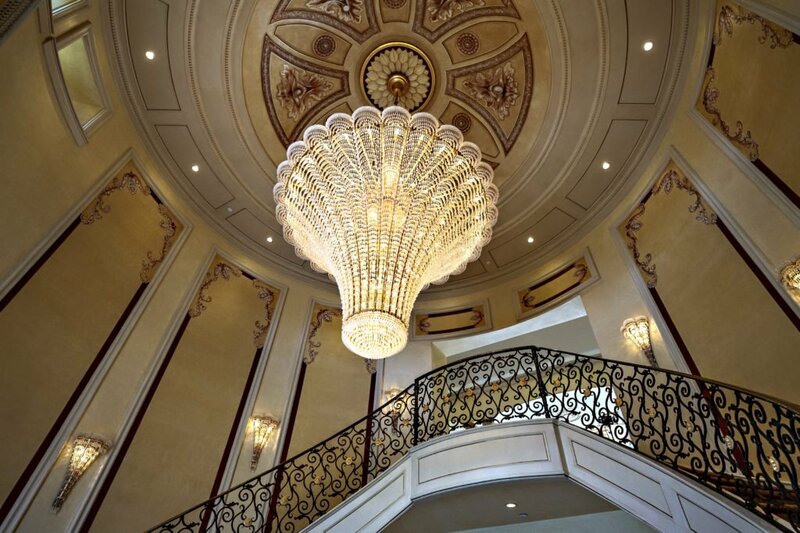 Incredible volume and vast scale with soaring ceilings, massive custom stone fireplaces, marble slab floors, Swarovski crystal chandeliers, and countless other stunning features. 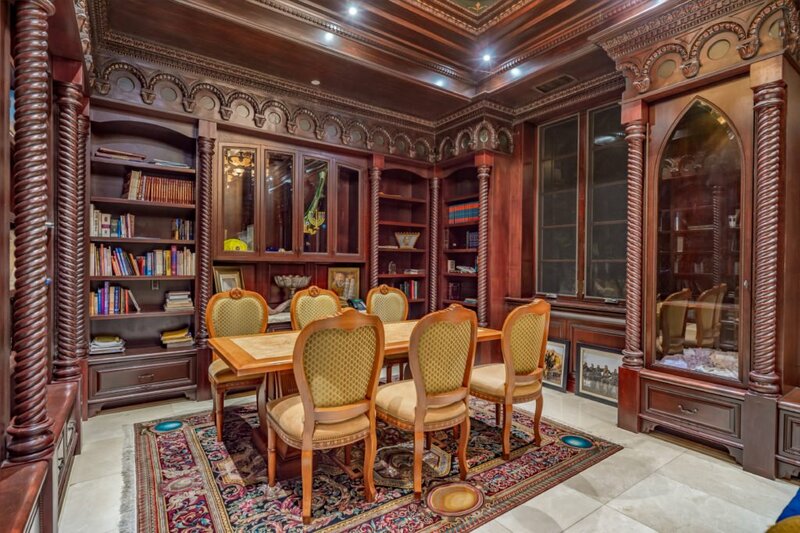 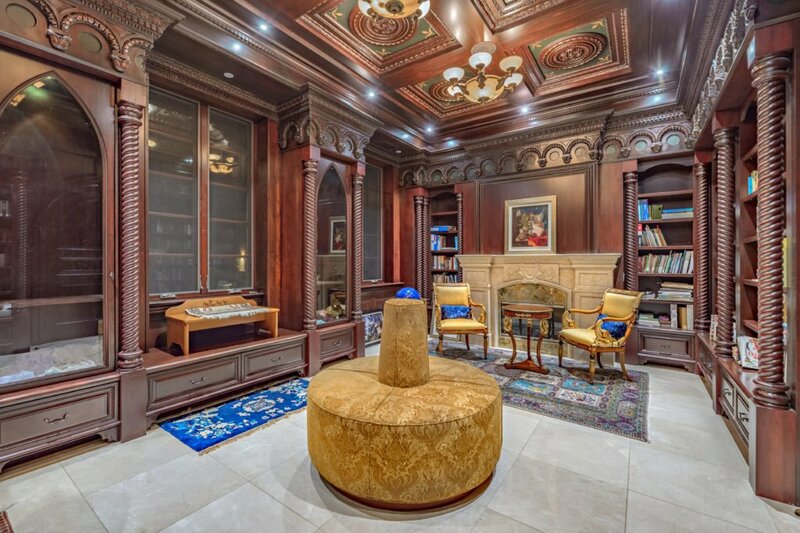 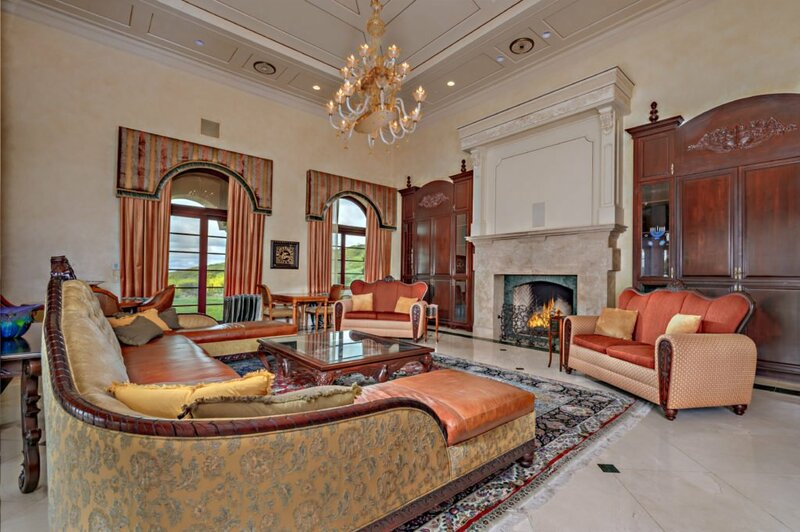 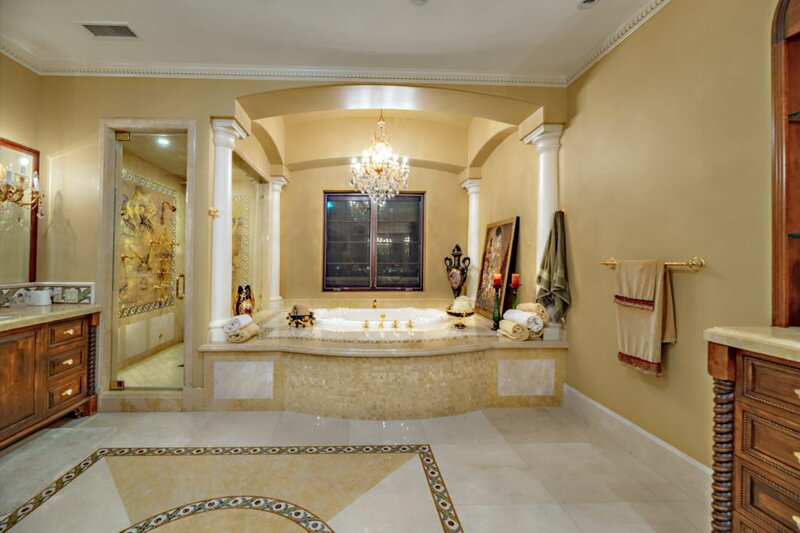 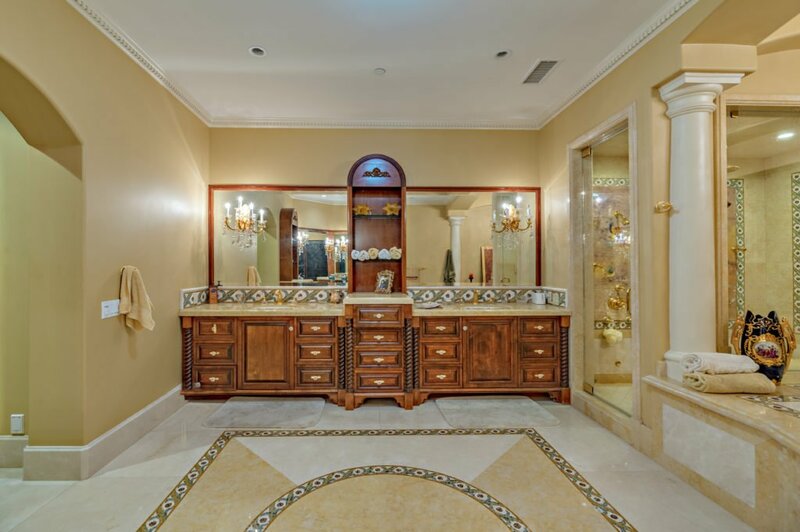 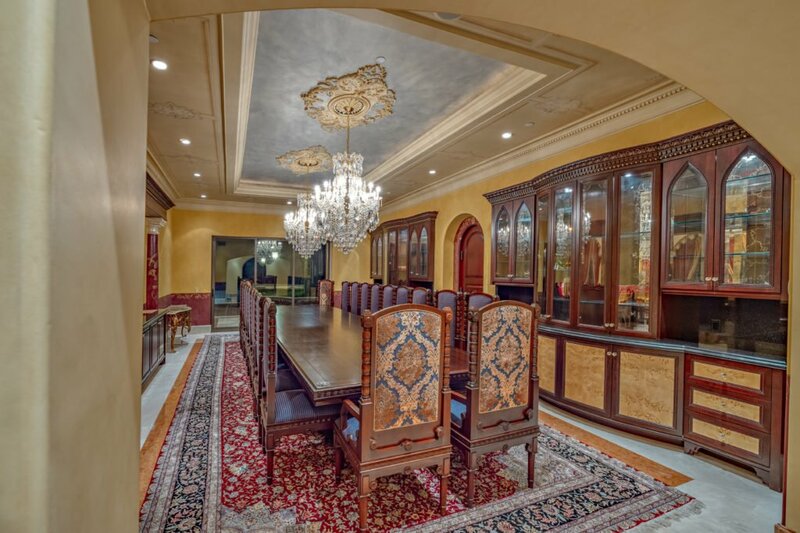 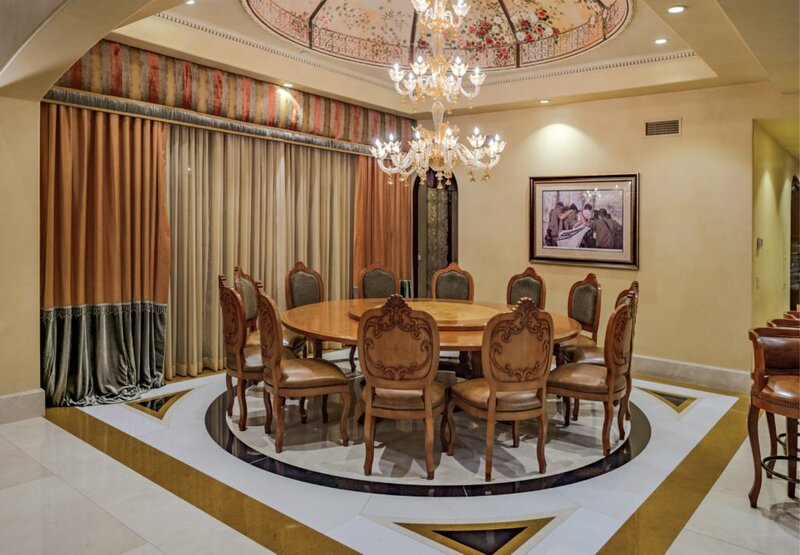 8 bedrooms, including a magnificent master suite, 12 baths, charming library, huge formal dining room, gym, and much more. 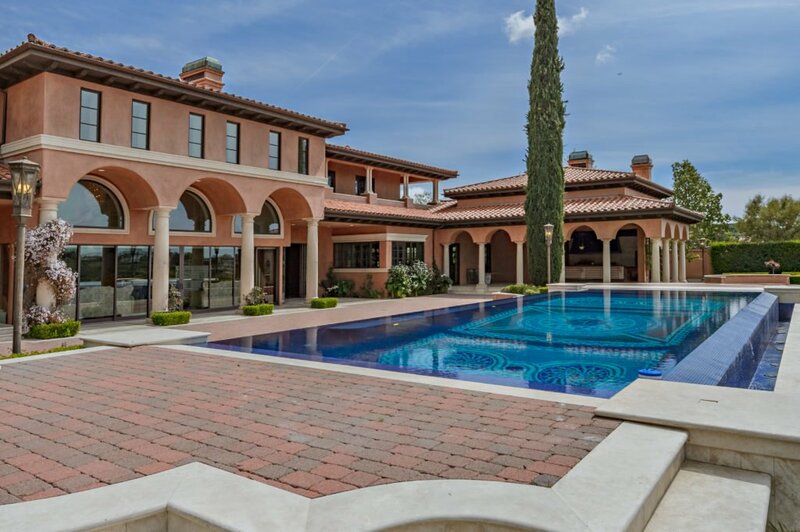 A one of a kind mosaic infinity edged pool, spa and outdoor cooking and dining areas areas make this the ultimate combination of family home and a quintessential entertainment estate. 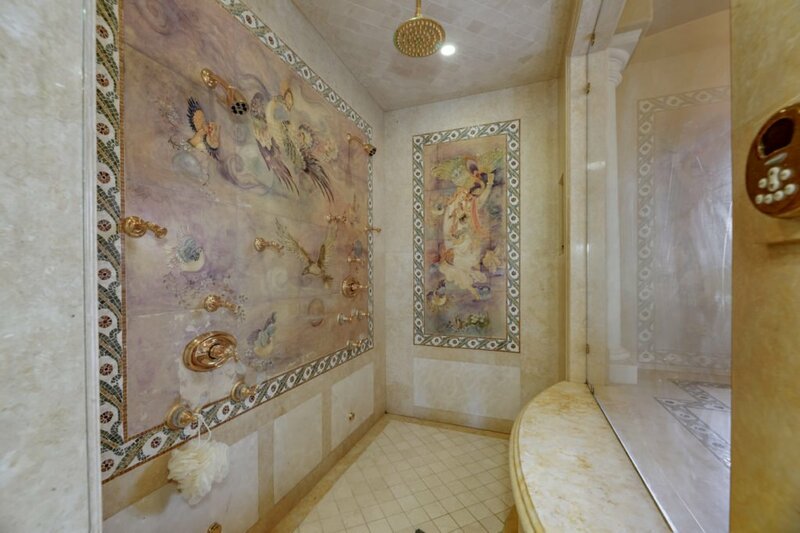 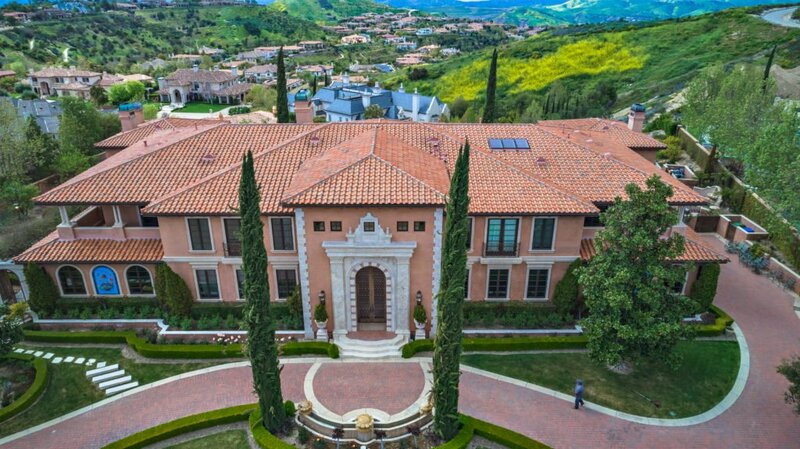 25241 Prado Del Grandioso, Calabasas, CA, 91302 from View Luxury Homes by Doyle Terry on Vimeo.